A "female tourist" has been rescued by police in Melbourne, Australia after walking off a pier. It wasn't a suicide attempt. She was just too busy looking at Facebook on her phone. 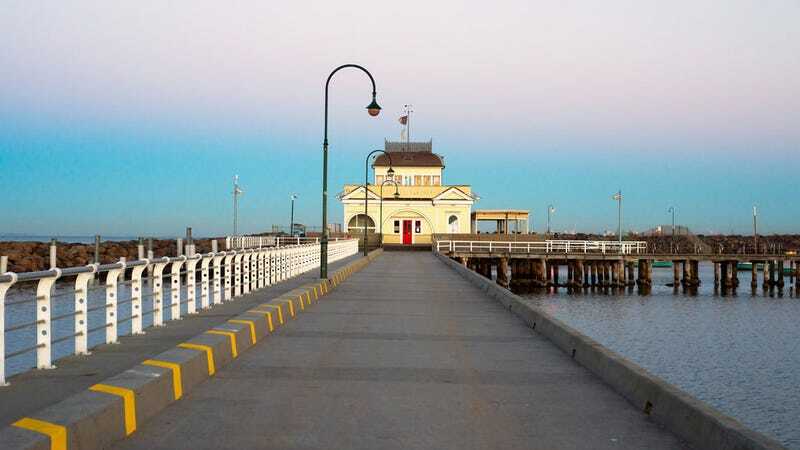 Victoria Police say the woman - who couldn't swim - walked off the famous St. Kilda pier at 11:30pm last night after becoming "engrossed in social media". She was rescued 20m out to sea. With the phone still in her hand.